Earth Day is on April 22. It helps us remember that what we do affects the planet. I’ve got some great ways for you to spend time with your children while doing things that are beneficial to the environment. 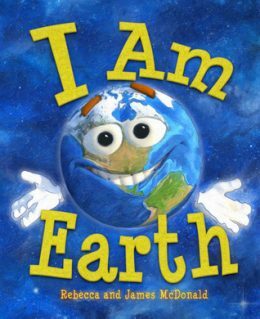 These books and activities for Earth Day will help teach them that what they do matters. 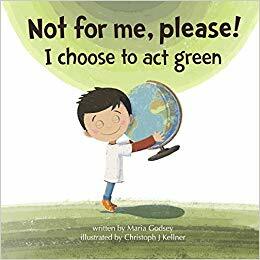 By reading some of these books with them, you are teaching them that other people want to help keep the earth clean and healthy too! Planting a tree with your child is a wonderful way to positively contribute to the environment. Your child will love going with you to pick out a tree and then planting it. All the while, you can explain to your child how they are contributing to make the planet healthy. Build a recycling center in your home. You can have your child help design bins in the home for recyclable items. This is a fun activity that will teach your child how important it is to not waste things that can be reused. 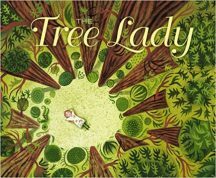 Join Luke on his journey to protect what he loves with this engaging children’s picture book about sustainability and acting green. After noticing the damage caused to the environment and animals due to trash and waste, Luke decides to take action. He believes he can have a big impact on the world around him and invites his readers to join him! Using his phrase, “Not for me, please”, Luke role models how children can harness their inner super-hero and help protect the environment. He introduces the concept of Recycle, Reduce, and Reuse through relatable examples children can understand. The rhyming story is catchy and the illustrations are captivating. and with my strong phrase, there’s no way we lose! and how you can join me and begin to act green. Organize a clean-up committee. Help your child gather their friends to clean up the neighborhood. Go around the neighborhood gathering up trash and recyclables. Your child will take pride in their contribution to cleaning up the planet. It is a great way to build self-confidence in your youngster. Meet Mr. Gilly. He cleans up Trashy Town. There’s trash at the pizza parlor, trash at the school, and trash at every house. It’s a big job, but Mr. Gilly does it with a big truck, a big smile, and loads of style. Trashy Town features a rhythmic, repeatable refrain that will have children clamoring for repeat readings. Dynamic art from acclaimed illustrator Dan Yaccarino puts the zip in Mr. Gilly’s stride and adds style and charm to trash collection. Perfect for fans of all books about things that GO! 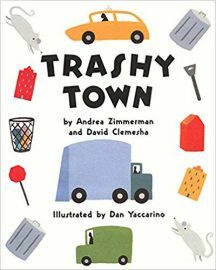 Dump it in, smash it down, drive around the Trashy Town! Have an Earth Day party. Help your child raise awareness of Earth Day by having a party. They can play games that focus on the environment and create crafts. Prizes for winning games can be plants or seeds. In this Earth science book for beginners, kids learn what makes our planet so uniquely special and how people can work together to keep it a healthy home.I Am Earth is a great way to start children at an early age to care for the environment by understanding why the environment is so important and what they can do to help keep nature in balance, like recycle, reuse and conserve. For all living creatures that call planet Earth home, every day is Earth Day! Bright, vivid illustrations will capture kids’ attention and keep learning fun. Go on a nature walk. 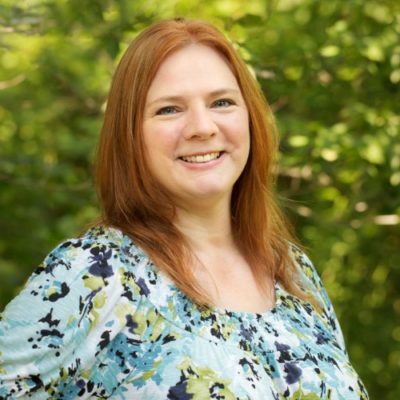 Take your child down to the local forest preserve and walk through the trails. Help your child appreciate all the beautiful views and talk to them about how important it is to protect the world we live in. Ask your child thought-provoking questions about what they see during your walk. Have you ever sat quietly near a stream, or in a meadow or a wood, and just looked and listened? 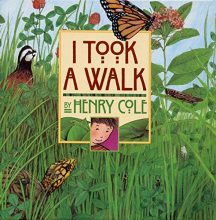 Well, now is your chance-come walk with Henry Cole in this delightful follow-up to Jack’s Garden. Vibrant, die-cut flaps fold out, inviting young viewers to observe the many forms of wildlife and plants found on land and in the water. Turn the pages for an interactive and fun exploration into nature. You’ll be surprised by how much you see! 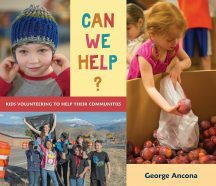 Encourage your child to get involved with the community through volunteering. This is a great way to contribute to the community and the environment. Volunteering also teaches your child the importance of helping out without a monetary reward. Their reward is the great feeling that comes from doing the right thing. Check out EarthShare online to look for areas in your community where you can help. Celebrating Earth Day is a great way to have fun with your children and teach them the importance of taking care of our planet. The effects of raising awareness will last long after Earth Day has past. Sharing in these activities with your child builds your own awareness and is a great way to start a new tradition in your family that can be past down to your grandchildren. 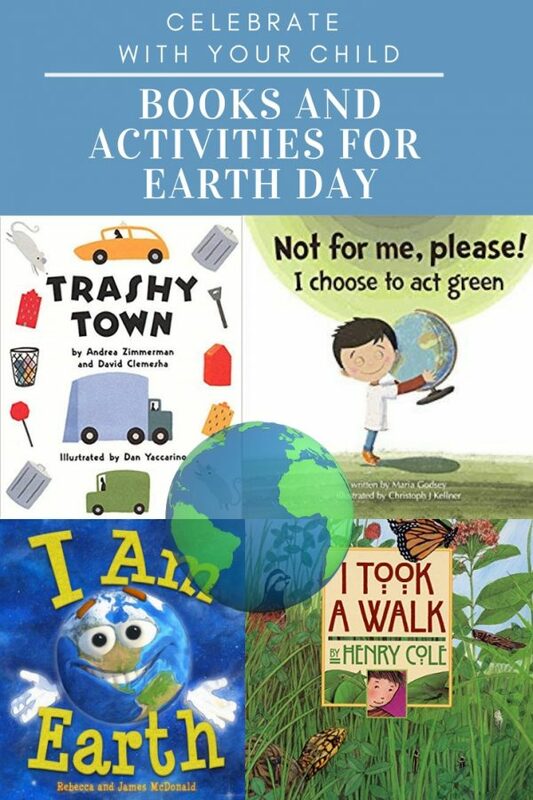 Which of these books and activities for Earth Day will you use to celebrate this April 22?